For a change, I wanted to take myself back into the basics of hand-making. Raidat is a ceramic collection, an outcome of the Personal Project which I made during the academic year 2015-2016. For a change, I wanted to take myself back into the basics of hand-making. As I had the opportunity to utilize my mother’s pottery, I worked there as an apprentice in order to learn the art of ceramics. 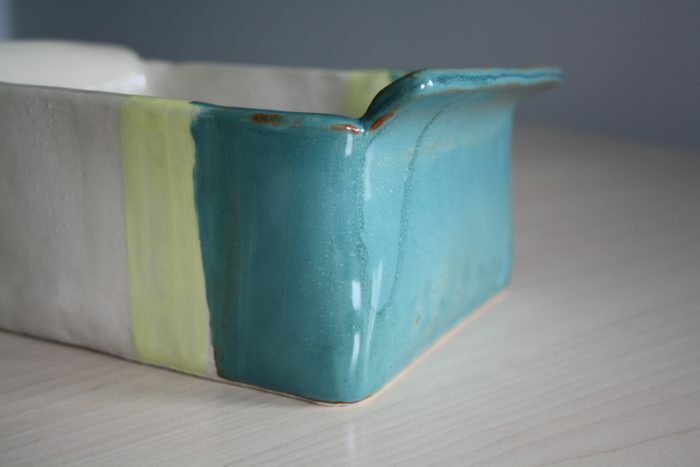 Throughout the year, I worked with ceramics and experimented with different techniques, clays, and glazes. The nature of making ceramics is a bit incidental and it includes a lot of testing and experimenting since the behavior of clay and glazes makes the outcome partly unknown. For instance, the real color and nature of glaze is revealed after the firing. Thus, when I made ceramics, I planned my next steps while working. The part of charm of doing ceramics comes from that freedom. It was fascinating to seek inspiration from a different context and be more playful with the whole design process. The idea for the colors and stripes came from my field trip in Uganda; I was really inspired by the colors and stripes which one could see in the landscapes. 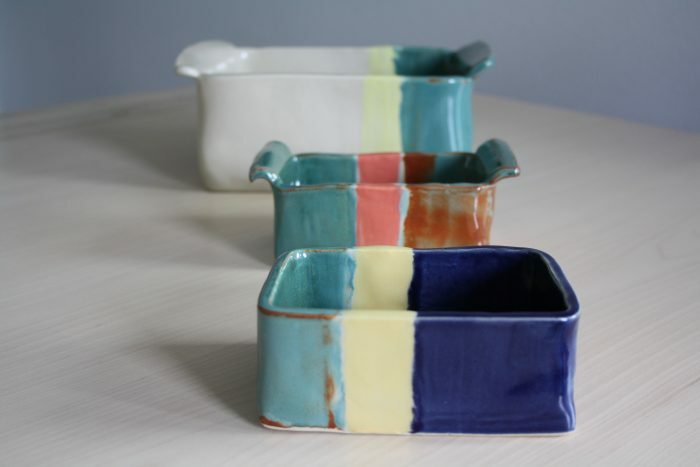 As I wanted to create similar nonsymmetric stripes and colors in my ceramics, I came up with a method in which I used both glaze and non­-glaze slip, engobe. This enabled the making of three stripes. I ended up having a great set of three pieces; I call the collection as Raidat (Stripes). I learned a lot about ceramist’s work as well as discovered my own style as a maker. 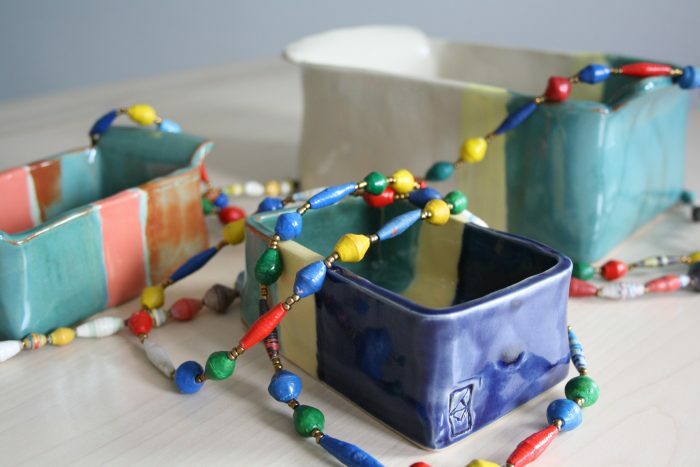 I prefer simplicity in form but I also like playfulness of the ceramics I made. The year with ceramics was truly inspirational and I will definitely keep learning and doing ceramics.